Austin’s Rose performs at venues in the Vail valley such as The Sebastian and 10th Mountain Whiskey. 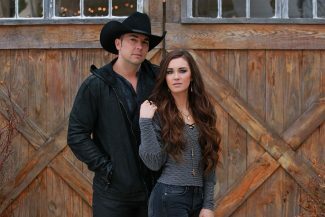 Tim McGraw and Faith Hill, Garth Brooks and Trisha Yearwood, Johnny Cash and June Carter … and now joining the ranks of country music couples: Tim Gore and Taylor Cornilles. 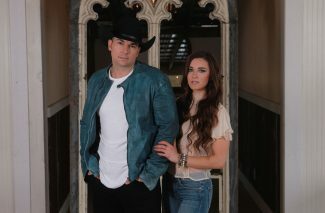 A country music duo, Gore and Cornilles — who have been working on careers in country music since their childhoods — make up Austin’s Rose. At nearly every gig, according to Gore, the two are asked one of two questions: “are you a couple,” or “are you siblings?” They are, in fact, a couple. 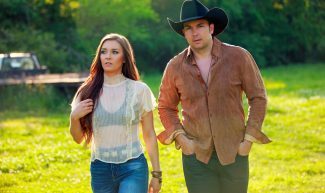 After meeting in Nashville, the two began dating and eventually dove into music together. Cornilles would tag along to Gore’s gigs, accompanying him on the fiddle, and their chemistry tied them together for a new musical act. Austin’s Rose is made up of Taylor Cornilles and Tim Gore. The band plays part of the year here in Vail and the other part in Nashville, and though its sound stands out, it hasn’t been easy going. “Austin’s Rose” sounds so much like a country music group, it would be easy to assume that it came about naturally, but that couldn’t be further from the truth. Cornilles noted coming up with the name was really tough. “Tim wanted to put our names to be in the (band) name … I didn’t really know if we could do anything with Gore, and my last name is slaughtered all the time,” she said. Eventually, they settled on an amalgam of their middle names. Gore’s middle name, Austin, also serves as a tribute to his father’s Air Force days in Austin, Texas. For a time, Gore also went by Austin to avoid being confused with modern country legend Tim McGraw. Austin’s Rose recently worked with legendary producer Paul Worley, who has worked with Martina McBride and other country stars. Rose, on the other hand, reminded the couple of Guns N’ Roses, making for another special tribute. Austin Rose, however, sounded like a single person, so Cornilles suggested throwing in an apostrophe and the letter “s,” and Austin’s Rose finally came into existence. Nashville, Tennessee is called Music City for a reason — it’s a hotbed for country music and where a number of stars build and operate their careers. Naturally, Gore and Cornilles were drawn there to launch their own projects (originally with no intention to join a band, necessarily), but it didn’t exactly play out the way it does in the movies. Luckily, Vail provided some new opportunities. A booking agent called up the duo and suggested they stretch their musical muscles here in the valley. Since then, Cornilles noted, they’ve had time to hone a musical craft because they only have to play a two-hour gig, then they can go home and work on more music. Although it’s been tough, the grind in Nashville has put Austin’s Rose on the road to success. Within the last year and a half, Gore and Cornilles began to rebrand themselves, only putting out music that best represents who they are. “A Little Change,” the band’s 2018 album, can be found online, but after the release, they teamed up with super-producer Paul Worley, who has produced music for everyone from Martina McBride to Lady Antebellum. Gore said Worley is “like family” and “was a big missing piece” to the band.